The Weekly Stuff Podcast #185 – Persona 5 Spoiler-Chat 3, Doctor Who S10E2 Review, and more! 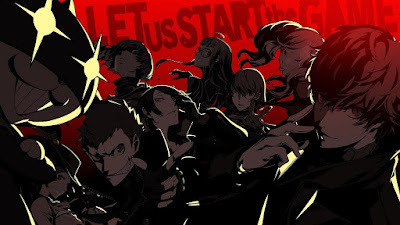 Our adventures in the wonderful Persona 5 continue this week, as we offer our third spoiler-filled chat on the game, with thoughts and analysis on the fifth and sixth palaces/story arcs in the game (along with some responses to recent media kerfuffles over translation issues in the English release). Before that, though, we have several other topics, including our review of this week’s Doctor Who, “Smile,” and reactions to news on Call of Duty, Avatar, X-Men, and more.